Janet Reitman on America’s most secretive religion. According to the Scientology calendar, 2011 is the year 61 A.D. (After Dianetics), marking sixty-one years since the May 9, 1950, publication of L. Ron Hubbard’s “Dianetics: The Modern Science of Mental Health.” The book—now referred to by Scientologists as “Book One”—was panned by critics, but that didn’t prevent it from becoming a best-seller, spawning “Dianetics clubs” around the country. And just two years later, Hubbard announced the advent of Scientology, which the former science fiction writer promoted as an inexpensive, interactive alternative to psychotherapy. In subsequent decades, Hubbard developed Scientology into a worldwide spiritual corporation, one with its own rules, language, and ethics. 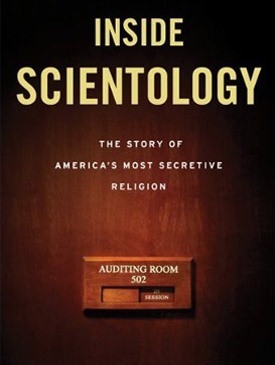 However, mainstream acceptance continued to elude him, and Scientology earned a reputation as a “dangerous cult,” thanks to its controversial doctrines and practices. Nevertheless, under the guidance of David Miscavige (who has led the organization since Hubbard’s death in 1986), Scientology has managed to attract (or retain) a sizeable number of high-profile celebrities who have helped raise the church’s public profile. Let’s start with L. Ron Hubbard. What kind of person was he? He was a typical only child—very good at being alone, but always in search of friends and approval. He did try to be a serious writer. He wrote a book in the late 1930s that he thought was a serious scientific piece of work, but it never saw the light of day. He tried a lot of serious pursuits that never quite panned out, and then finally hit it [big] with “Dianetics.” I think he felt like no one took him seriously, and if he couldn’t be a success in our world he was going to create his own. He seemed to have a knack for turning setbacks into successes. And his other talent was making others feel like anything they tried would be a success. Exactly. In the book I call him America’s first Oprah. He was one of the early motivational gurus. There was this P.T. Barnum quality that he had. And he was very self-deprecating. Lots of people knew that he had tried and failed, tried and failed. He encouraged this sense that you could try, and even if you failed five times, you could succeed this time. What kind of person becomes a Scientologist? Aside from those that are raised in the church, it’s somebody who is searching for something they have not yet been able to find, either in another religion or in psychotherapy. Scientology is focused on finding problems and then promising you a fix. If you are going to be responsive to that pitch, you generally have a problem you want to fix. What attracts celebrities to the church? And how do they get celebrities in the door? They have a strategy for celebrities and it’s been around for a long time. The idea is that celebrities are great promotion, and they want to keep them happy so they give them special treatment. They have special churches for celebrities and their friends and extended family. And they give them private counseling—the best auditors, the best course supervisors—and have a VIP lounge. They replicate the celebrity life, except in a more contained environment. And with the exception of Tom Cruise, if you look at the celebrities who are in Scientology, almost all of those people got in when they were on their way up. What Scientology is really good at is making you feel like you are a big deal, even if you’re not. Psychologically it can be very attractive if there is an entire community where you are a big deal. Tell me about David Miscavige. How did he become Hubbard’s successor? He was an acolyte of Hubbard and a guy who grew up in the church—a very ambitious young guy. He positioned himself in a specific way, by eliminating anyone who could be a threat to him. And he was not the natural and likely successor. He had a rival, a guy named Pat Broeker, who had been Hubbard’s closest personal aide for a number of years. Broeker and his wife were Hubbard’s caretakers and Hubbard had even indicated that the Broeker’s would take over the church. But Miscavige manipulated events to make sure that would not happen, and he ultimately pushed Pat Broeker out of the way. What kind of successes—and failures—has Miscavige experienced as the church’s leader? He has been very successful in making Scientology a “mainstream religion.” He gained tax-exempt status for the church, which it never had before. I would also give him credit, ironically, for ushering in an age of openness that has made Scientology less litigious. At the same time, Miscavige is highly controlling and—according to people who work with him—an incredibly punitive, often profane guy who has a vicious temper. And he has consolidated power within the church in a way that hasn’t done it well. He is very good at playing people off against one another and making sure that he stays on top. It also seems that the church has gotten much more expensive. There has been a greater emphasis on money and the external—buying new buildings, and expanding in a very physical way. But that doesn’t mean it has expanded in terms of people. How has the Internet impacted the church? It’s been pretty devastating. It has exposed everything about it, because any bit of documentation—anything negative as well as positive—you can now post online. It’s emboldened a lot of people who are very bitter towards Scientology to come out and post. They can now tell their stories anonymously and can find communities of like-minded people. So it has empowered the people that Scientology would like to feel disempowered—the people that Scientology views as a threat. Why do Scientologists typically leave the church? They are finding it too expensive, they are finding it too punitive, or they’ve heard too many negative stories. People generally get fed up with it after a while. They don’t like being told what to do. There is a strong element of the church that says: We are going to tell you exactly how to behave, and people just don’t want that. The Great Wall of Rejection—Aussie academic Nick Hopwood on how his “failures” help keep rejection in perspective. 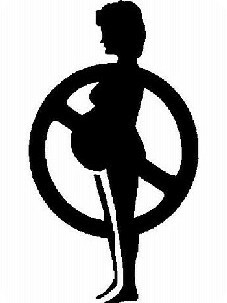 Voluntary Human Extinction Movement—Thank you for not breeding. 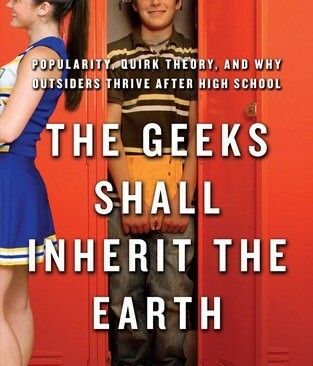 The Geeks Shall Inherit the Earth—Quirk Theory—and why high school outcasts are most likely to succeed.